What you do on the internet should not be of any concern to others but unfortunately the ground reality is very different. These days, your government and ISP is not only actively monitoring what you do on the internet, they are even preventing you from accessing certain types of content. A lot of privacy conscious people have started using VPNs to protect their privacy and bypass all forms of censorship and it is high time that web users who are not using a privacy tool also started doing so. Hideway is a dependable VPN solution that has been around for 5 years and below you will discover some money saving offers for the service. 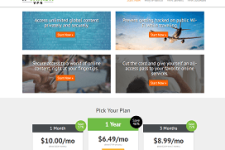 For those who want to subscribe to Hideway’s recurring monthly plan, the company offers 10 GB of bandwidth for $9.51 a month. However, if you stream a lot of HD content or share files through P2P then obviously 10 GB is not going to be enough for you. For customers who need higher bandwidth, Hideway offers a 50 GB bandwidth plan for $16.31/month and an unlimited bandwidth plan for $27.19/month thereby allowing you to save a lot of money on bandwidth. Apart from monthly subscriptions, Hideway offers long term accounts that are valid for 2 years. The cheapest long term subscription option available from the provider costs $13.59 for 10 GB of data transfer. Customers who need more bandwidth with their long term accounts can buy a 20 GB account for $15.99, 75 GB account for $29.99 or 150 GB account for $39.99. Here again, you can save a lot of money on bandwidth simply by opting for a higher bandwidth account. The above Hideway offers are available to all new customers. The provider does not expect you to enter a coupon code so all you need to do is click on the above Redeem button or use any one of the Hideway’s links available on this page. Once you have landed on the official site of the provider, click on the Order link and choose a VPN package (with appropriate bandwidth) as per your needs. Just What Makes Hideway A Trustworthy VPN Service? Hideway is an Austria based VPN provider that has been delivering privacy services to customers since 2009. The service provides security and privacy for mobile devices as well as desktops plus it even delivers higher level of encryption through the OpenVPN protocol. 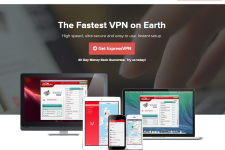 Using Hideway VPN is an excellent way to hide your browsing habits from ISPs and network administrators and protect your personal data from criminals who steal data, money and identity through security loopholes present in public Wi-Fi hotspots. Hideway VPN has deployed multiple gateways in Austria. Although the service would not be of any help to those who want to unlock US or UK based websites, it does provide an easy way to access many European On-Demand services that are available within Austria. Additionally, the service can unlock your favorite VOIP, social networking, email and video sites even from those locations where the level of online censorship is very high (foreign countries, most schools and workplaces etc.). Please check out our Hideway Review. If you would rather visit the provider’s website, click here: www.hideway.eu.